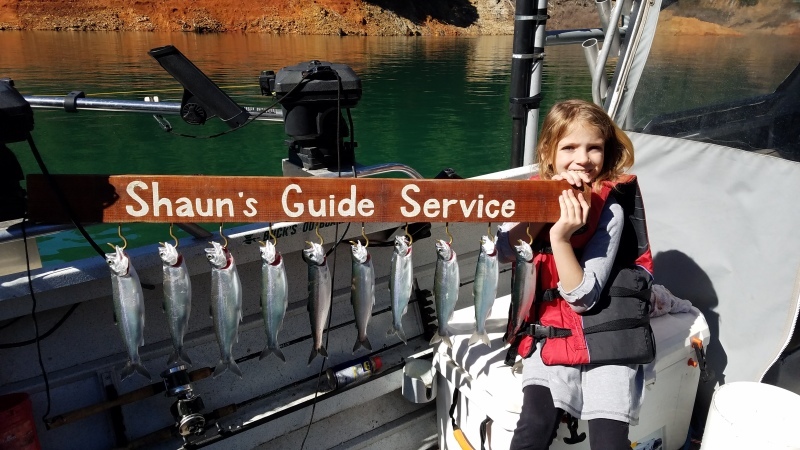 Shaun's Guide Service offers personal guided trips for up to six people of the same party, as well as instruction trips on your boat. 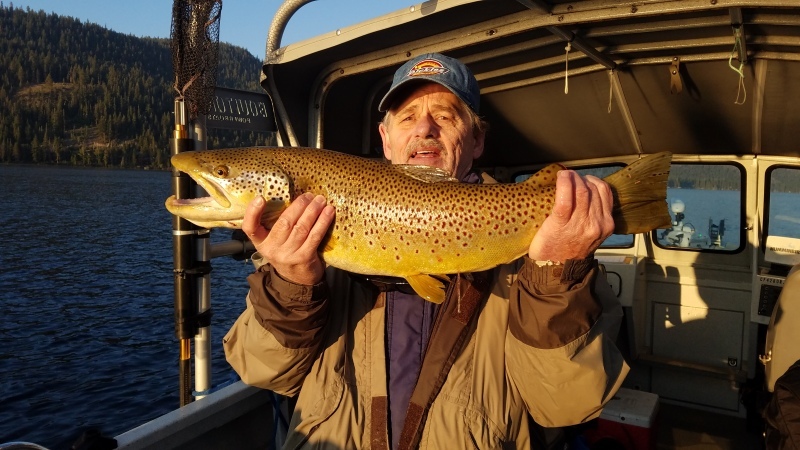 Shaun has been fishing for over 35 years and knows how to catch fish. 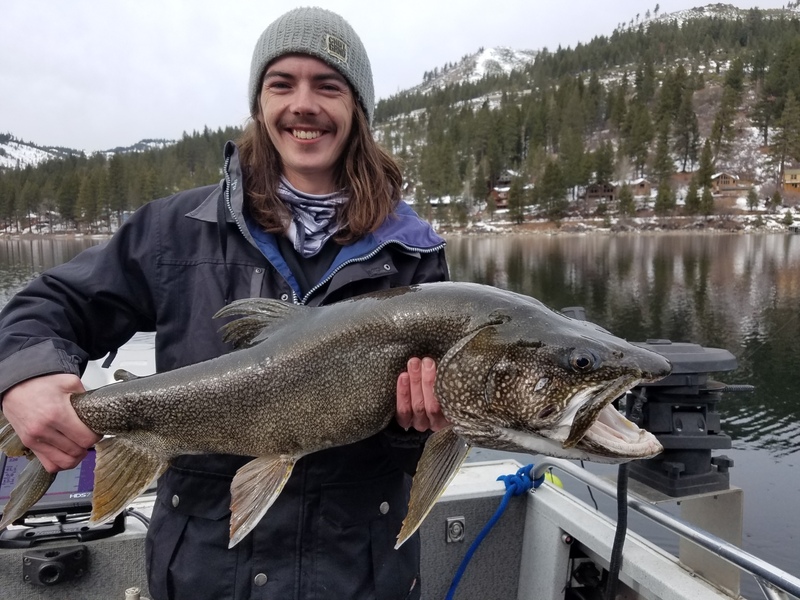 Shaun's Guide Service operates all year round at Donner Lake, Tahoe, Stampede, Sacramento river and Bullards Bar. 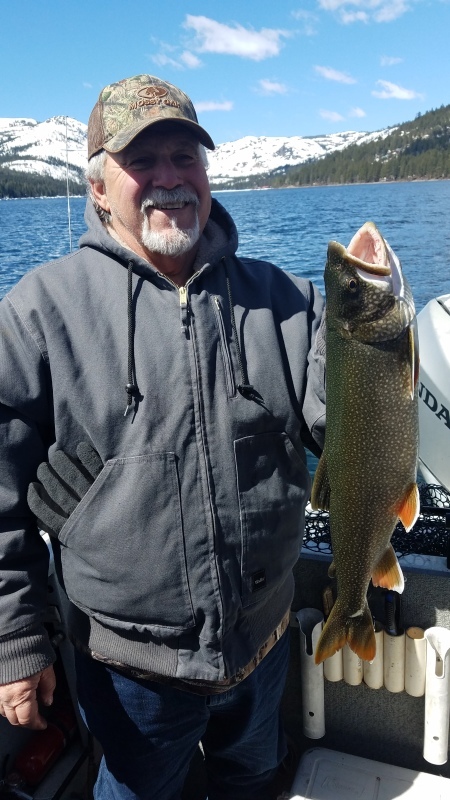 Whether it is Trophy Lake Trout (Mackinaw), eating-size Mackinaw, German Brown trout, Kokanee, King salmon, or Rainbow trout; Shaun will make sure your day is filled with catching experiences. To book a trip, give me a call, or send me an e-mail to reserve a day. I prefer getting a deposit, to hold your trip, through Paypal. It protects us both. If you don't have a Paypal account, that's ok. Click the buy now Paypal button and you'll be able to pay the deposit without having an account with them. Go to my facebook page by clicking the "f" on my contact section, for the most recent updates. I provide all the gear. I only ask you to bring food and drink for yourself and your fishing license. Bring an ice chest to transport your fish home. I charge $175 per person, minimum of 2, up to six at a time on Donner, Stampede and Bullards Bar. 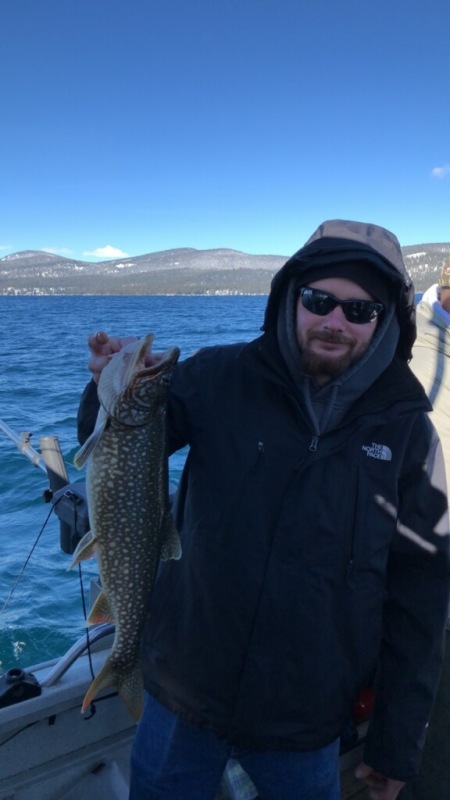 For Lake Tahoe and the Sacramento River, I charge $200 per person, minimum of 2. For a full boat, or 6 people, I offer a $100 discount. Veterans get $50 off. There will be no strangers on my boat, just me, you and your friend(s), or family. I offer afternoon trips as well! Morning trips start at first light and lasts around 6 hours, depending on the fishing. Afternoon trips start around 1pm and last until 6, or 7pm, depending. I have a 2006 22 foot Boulton Sea Skiff fishing boat with a full top, side curtains, back drop curtain and a heater for the cold Donner mornings. It's so warm with it buttoned up, you will be totally warm in the winter even!! I also offer guide instuction on your boat. This service is to help you optimize your catch-rate on your boat. I charge $150 for this service. I require a $75 deposit by Paypal, or personal check. The deposit is 100% refundable if you cancel 3 days prior to our scheduled trip. For prepaid gift certificates, payment is due in full by Paypal, or check, or money order. Upon reciept of payment, I will mail you a reciept. 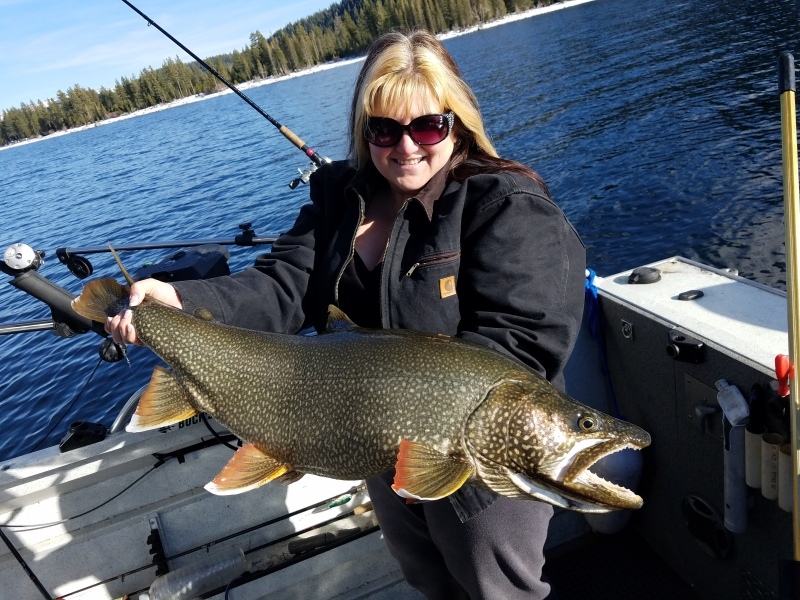 The 18 to 25 inch Mackinaw can be caught all year-round, big ones are harder to get, but if that's what you want, we have great success! Sacramento river salmon is best in October. 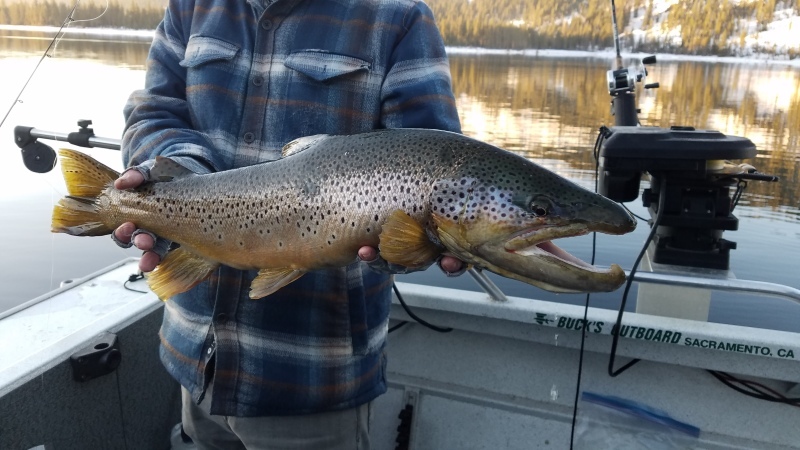 For Kokanee, the best times are from May through October.